Almost hidden in an alley off the main square of Mdina is this nice restaurant that we tried on our 1st night on the island of Malta. 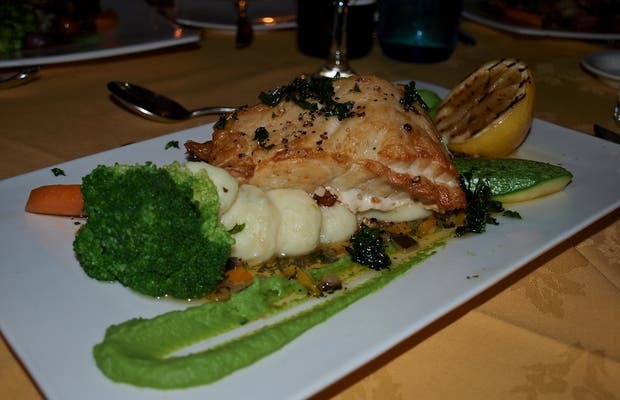 The Medina Restaurant has a menu of dishes that come from Mediterranean and Maltese food. There are No half measures: if you do not like it do not let the waiter serve you , this is not your place. I like to be treated like royalty, so I came to Medina. Some of the dishes: Melon with ham; Farfalle with vegetables, dried tomatoes and pesto, grilled ribs with a confit of cherry tomatoes, mushrooms and wine reduction, roasted sea bass with pepper vegetable accompaniment and for dessert, profiteroles with pistachio cream and hot chocolate.